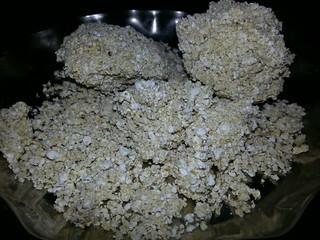 Aval is the Malayalam word for beaten or flattened rice or sweet snacks made from beaten rice and sweetened with jaggery. 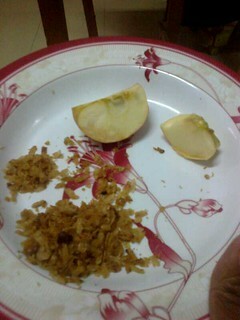 Also called Poha in other Indian languages. Aval is called Pinipig in the Philippines and is one of the ingredients for the famous dessert/ cold snacks from the Philippines called Halo-Halo. In Kerala, they are usually cooked with jaggery and is one of the traditional Prasadam or Prasad, thefood from the temples in Kerala, India which is being distributed to the people for consumption. 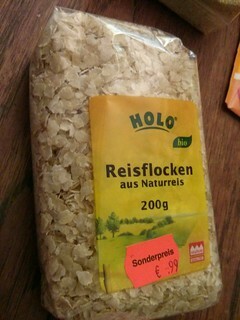 In Germany, beaten or flattened rice is called Reisflocken. 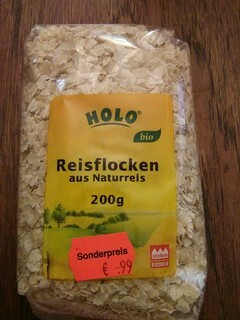 Below are pictures of Reisflocken which I bought in a Bio Store in Germany. I bought this Reiflocken to try cooking my own version of Aval in Germany which I did, too while on vacation in the Philippines.